Enjoy all the sweets. 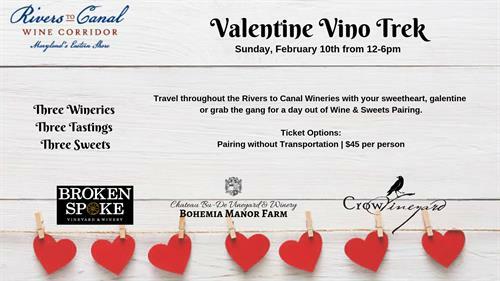 You'll receive three wines paired with three sweets at each winery. Additional wines & food will be available at each winery for purchase. For Trek members only, you'll receive 10% off all bottle purchases as well on February 10th.